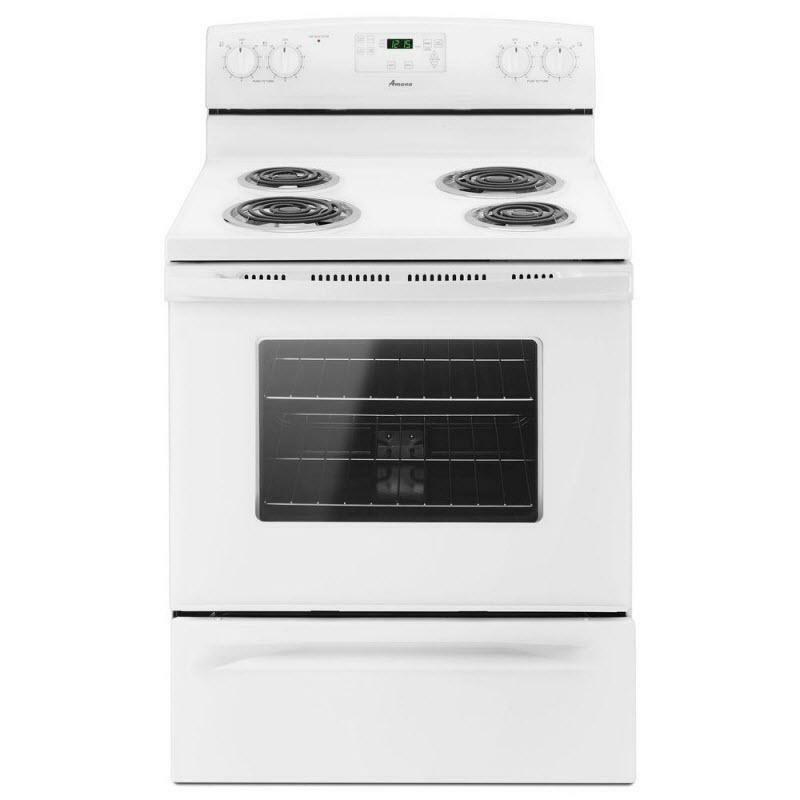 Amana® 30" electric range. 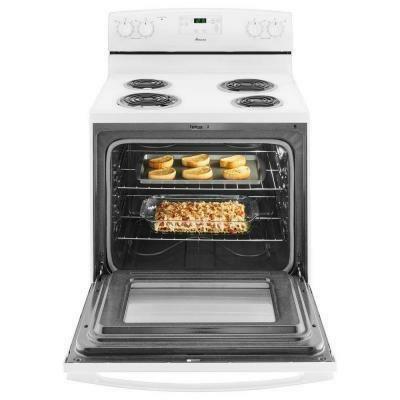 This range features a versatile cooktop, a large oven capacity and a self clean option. Burner/Element Size • Left Front Element-Burner Power: 8"
• Left Rear Element-Burner Power: 6"
• Right Front Element-Burner Power: 6"
• Right Rear Element-Burner Power: 8"
Additional Dimensions • 27 3/4" (70.5 cm) max. depth with handle • 46 7/8" (119.1 cm) overall height (max.) with leveling legs screwed all the way in(Range can be raised approximately 1" (2.5 cm) by adjusting the leveling legs.) • 36" (91.4 cm) cooktop height (max.) with leveling legs screwed all the way in(Range can be raised approximately 1" (2.5 cm) by adjusting the leveling legs.) • 29 7/8" (75.9 cm) width • 25 5/16" (64.3 cm) depth – back of range to front of cooktop(Front of door and drawer may extend further forward depending on styling.) 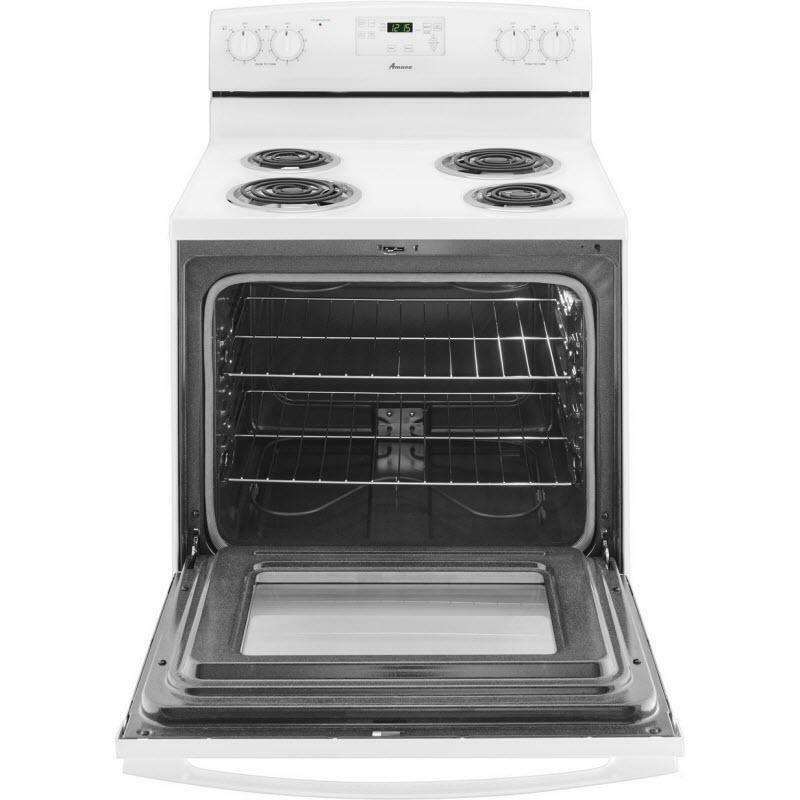 • Model/serial rating plate (located on the left side frame behind storage drawer or right side of frame behind the oven door) IMPORTANT: Range must be level after installation. Follow the instructions in the “Level Range” section. Using the cooktop as a reference for leveling the range is not recommended.